Lou Katz is a Shareholder of the firm. 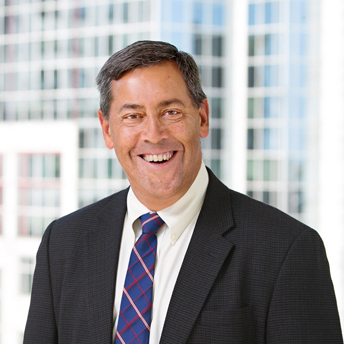 His practice is focused on business law, complex commercial transactions and commercial real estate transactions. He regularly handles mergers and acquisitions, corporate finance transactions, entity planning, shareholder matters, joint ventures, license arrangements, business disputes and succession planning for closely held companies. Mr. Katz is the founder and Chair of the firm's Hospitality and Retail Services Group. This group represents distributors, manufacturers, retailers and restaurants in all aspects of commercial law including mergers and acquisitions, equity and bank financing, commercial real estate purchases and leases, trademark and branding, license agreements, employment matters, shareholder matters, business disputes and reorganizations and succession planning. Mr. Katz is a co-founder of Restaurant Trends Seminar. Formed in 1993, Restaurant Trends presents annual seminars for the restaurant industry and serves as an important resource for restaurant owners and operators. Mr. Katz is formerly a Certified Public Accountant in the Commonwealth of Virginia and Washington, D.C. Prior to practicing law, Mr. Katz practiced accounting for Arthur Andersen & Co. in its Washington, D.C. office. He has served as a commercial arbitrator for the American Arbitration Association and has also served as a private mediator for commercial disputes.